We have featured a few nice iPhone 4 cases with card holders. 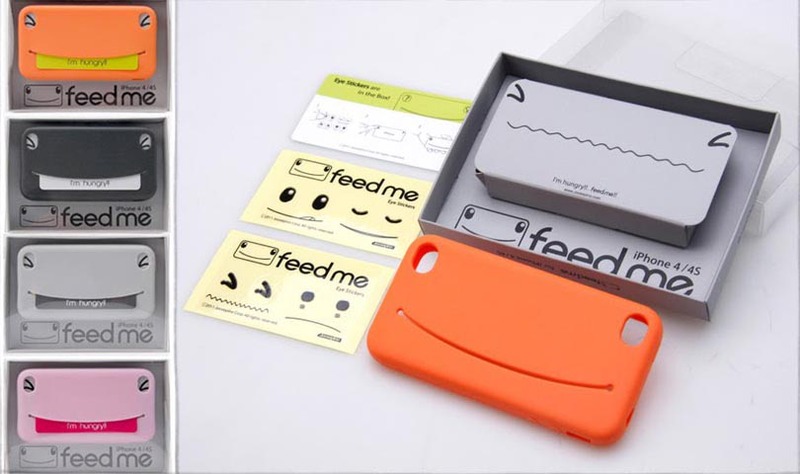 But if you want a combination of functionality and cute design, the following Feed Me iPhone 4 case should be able to draw your more attention. 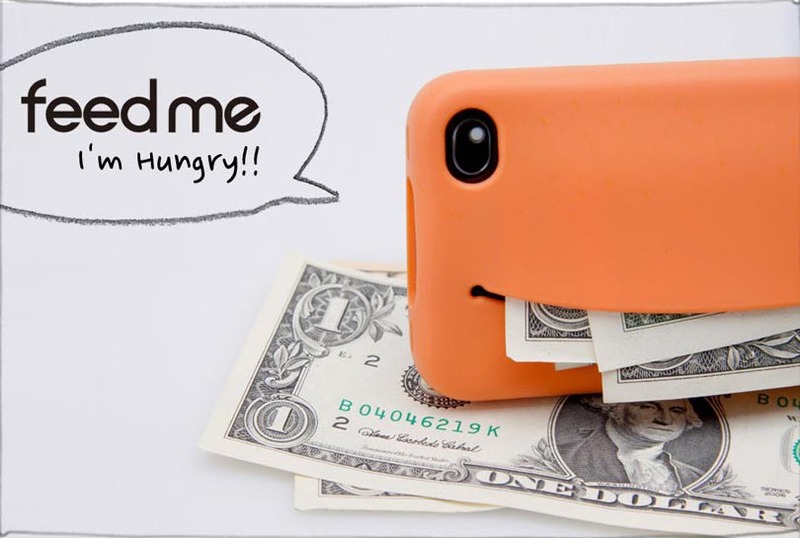 Feed Me is an innovative, adorable, and practical protective case that measures 119 x 62.4 x 12.6mm and weights 21g, designed for both iPhone 4 and iPhone 4S. 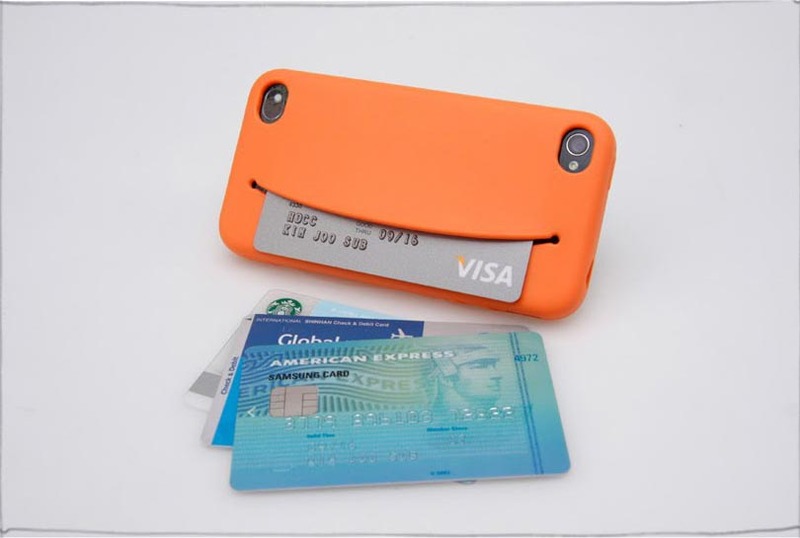 The iPhone 4S case is constructed of durable silicone, and coated with urethane in order to protect the iPhone 4 or 4S from bumps and scratches, and as we can see from the images, the back of the iPhone 4 case features a cute smiling face, and the big month allows you to store your credit cards, headphones, cash, or USB cable. Apart from that, you can customize the protective case’s emotion with the accompanying eye stickers, and the functions and buttons of your iPhone 4 is accessible via custom cutouts. 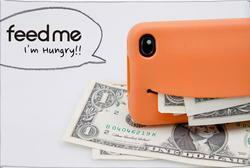 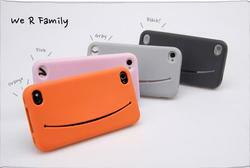 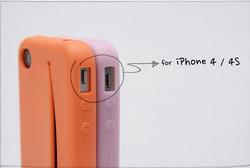 Feed Me iPhone 4 case is available in 4 colors including black, gray, pink and orange, each one is priced at $20 USD. 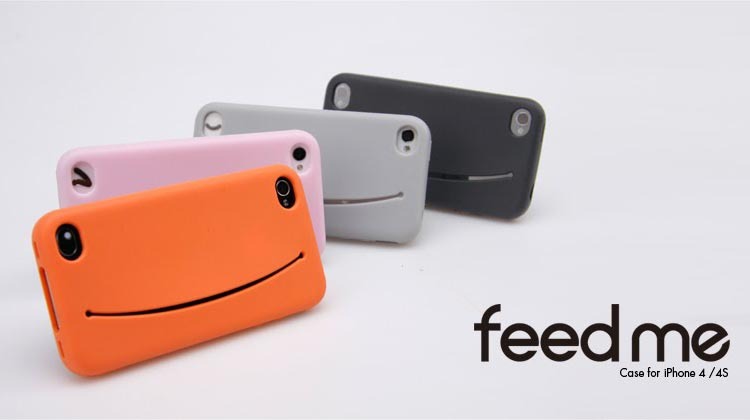 If you’re interested, jump to connect design for more details. Additionally, if you need other options, you might like to check the bitten apple iPhone 4 case, Block iPhone 4 case and more via “iPhone 4 case” tag.